In this post we explore some key mobile-first enabled features that can help your business. When you think of the apps you use to buy things, the first ones that come to mind likely have to do with taxis, takeaway, music and shopping. Think: Uber, Spotify, Apple Music, Just Eat and Amazon. We’re willing to bet at least a few of these are on your home screen. We see 70%+ of all bookings being made outside of standard working hours. 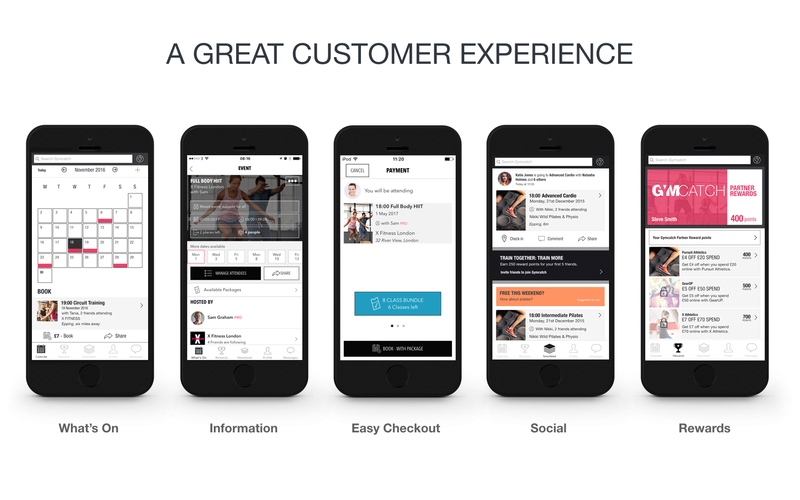 It goes without saying that giving customers a mobile experience with a better class, studio or gym booking app will increase their willingness to book and improve customer satisfaction. On top of this, it’ll also save you the time you spend manually confirming and tracking bookings. With Gymcatch, any fitness business can now give their customers great mobile convenience. Customers can find, book and pay for your services on iOS, Android and web in as few as three taps. 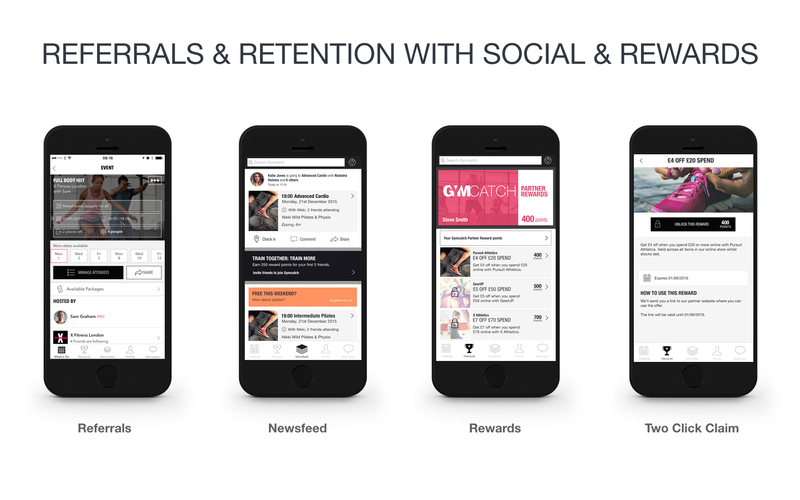 Over and above a great booking experience, Gymcatch’s features focus on reducing no-shows, improving cash flow, helping with attendance and payment management, and improving referrals and retention. Cancellation Policies, Wait Lists and Auto-refunds: You can pick from one of our standard cancellation policies or set your own. With clearly displayed policies during the booking process and the ability to take payment upfront, chasing payment for no-shows can become a thing of the past. Automatic waitlists maximize your chances of filling your class. We’ll notify anyone on the list as soon as a place becomes available, and spaces are allocated on a first-come first-serve basis. Auto-refunds enable you to set credit backs in line with your cancellation policy, making time-consuming refund processing a thing of the past. Calendar Sync and Reminders: Bookings (including joining instructions) can be automatically synced to personal calendars. Reminders are sent 24 hours before a class or an appointment and can be edited by the user in Settings > Notifications. Places Available: We know that displaying low attendance numbers can put people off. We therefore display ‘Places Available’, ‘Last Few Places Available’ and ‘Fully Booked’ to make sure this is never an issue. Track and Manage: You can track and update attendance and payment records for sessions either through the business portal or via the iOS and Android apps. We also provide on-the-go business event creation, cancellation and posting functionality in the iOS and Android apps. Payments: To take payments, you create an account with Stripe via our business portal. Stripe is one of the world’s largest payment providers. They have industry-leading security features, offer custom branded receipts and integrate with many accounting software packages. Gymcatch does not store your (or your client’s) payment details. Payment Charges: Gymcatch does not take a commission on bookings. Stripe only takes transaction fees and these are taken from the listed price at which you sell your classes or packages to your customers. The timing of transfers to your bank from Stripe can be customized, with most users choosing to maintain the standard daily transfer. Attendance Only: If you’ve set your members up on recurring billing and don’t want to move your direct debits, you can still use Gymcatch for attendance tracking – simply gift the package to your members. You can still charge drop-in fees for non-members. Rewards: We’ve partnered with great brands to offer customer rewards, giving them another reason to book via Gymcatch and keep coming to your sessions. We’ve built Gymcatch instructor up, rather than chain down, so whether looking for an instructor, personal trainer, studio or gym booking system, Gymcatch has you and your team covered at the right price. For more information on Gymcatch, and how it can help with your booking, admin and marketing: Gymcatch.com/business.